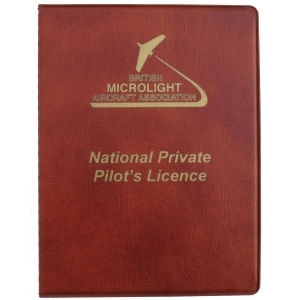 You can start logging your hours towards a licence at 14, fly solo at 16 and collect your NPPL (National Private Pilots Licence) from the CAA (Civil Aviation Authority) on the day of your 17th birthday. There is no upper age limit. Last year, in England, a 94-year-old man was granted his NPPL (M)! How many lessons do I need to take to get a licence? By law, you need to log 25 hours of flying traning, with at least 10 hours flown solo. Typically, we suggest allowing for around 40 hours to get your licence. You might take a few more than this, or a few less, but it gives you a rought idea. We usually book students in for a two-hour slot in the diary, aiming to spend about an hour in the air. We charge by the time in the air, rather than the time in the diary. So if we spend an hour and six minutes in the air, we will charge for 1.1 hours at our hourly rate. If we spend 54 minutes, then we would charge for 0.9 of an hour. Some of the navigation exercises will mean a longer slot booking of, say, three hours. We might then spend around two hours in the air. As of April 1st, 2016 the hourly rate is £150. There are no extra charges for landing fees, fuel surcharges, pre- and post-flight briefings, equipment hire etc. After your third lesson, you must join the club at Strathaven Airfield, details here. Ideally, the more frequently you have lessons the faster you will learn. We can book you in for a couple fo lessons a day, and you could have your licence in a few weeks. But most people come for a lesson every week, or a couple a month. Personally, we would suggest booking in for one a week, because you'll always lose some due to weather. How much will it cost to get my pilot's licence? We have put a full list of costs here. Budget for around £5-6,000. Can I learn to fly on my own microlight? Yes. For dual training on your own aircraft, it would need to be a fairly modern four-stroke powered aircraft: a typical budget machine would be an X-Air, Rans or a Skyranger. Strathaven Airfield now has a policy of only allowing four-stroke powered aircraft to be based there. We use a Comco Ikarus C42, with a Rotax 912 engine. The C42 is German-built and around 2,000 of them have been sold around the world. It is well proven! The four-stroke 80 horsepower Rotax 912 is one of the most reliable aircraft engines around. What are the medical requirements for an NPPL? Basically, you have to be fit enought to drive. The UK Civil Aviation Authority have said that from the end of 2016, if you have a valid driving licence, you will no longer require a flying medical. Until then, to fly solo, you need to be fit enough to drive a car. To take a passenger, you need to be fit enough to drive commercially. Your GP has to fill out a medical form based on your medical records. There is no physical examination required, although your GP may want to see you and do some simple checks. For more details and to print out the required forms, please click here. We provide all students with headsets etc. As students progress through their training, they usually start to acquire their own equipment, such as maps, navigation aids and textbooks. We can give advice (and discounts) on flying suits, intercoms and helmets. For charts, protractors, rulers, books etc, we rcommend Pooleys Pilot Shop: use the code Strathaven and get a 5% discount off most items.